I am so excited to share my 5 step nighttime skincare routine with all of you today! 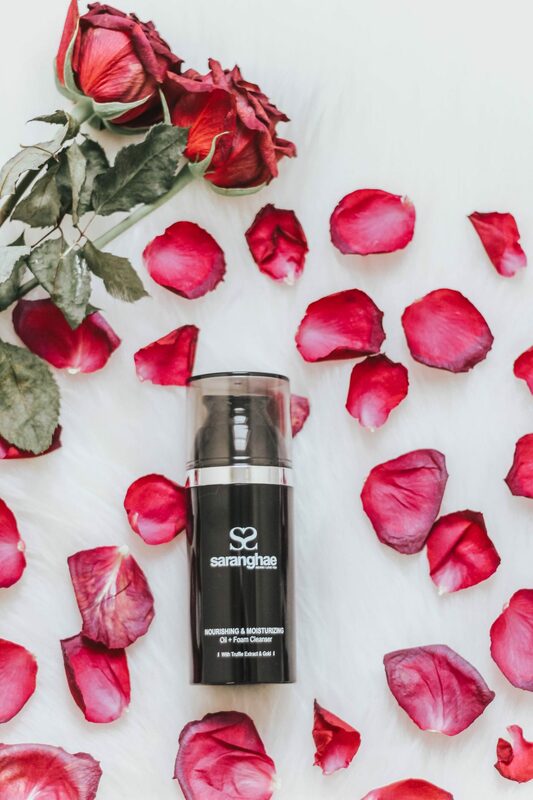 I have been using the Saranghae skincare routine for the past three weeks and have absolutely fallen in love with the products. 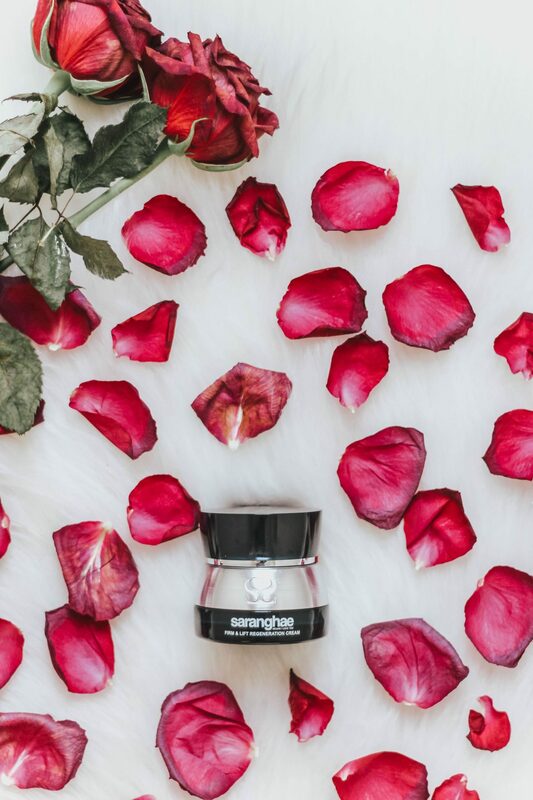 All of the anti-aging products are paraben free, SLS free, cruelty free, and manufactured in South Korea. I have already noticed a difference after using these products full of unique ingredients and it has only been three weeks since I first started using this 5 step routine. My face feels so moisturized and rejuvinated in the morning and I haven’t had a break-out since I started using Saranghae. I have combination skin, my cheeks are very dry, while my forehead and chin are oily, and these products have truly helped my skin feel soft and healthier. Let’s jump into the 5 step process so you can get an idea of my nightly skincare routine. First off, you did read that right, this cleanser contains truffle and REAL GOLD, how cool is that? Besides smelling amazing, the cleanser has a beautiful shimmer and contains 20 botanical essential oils. I simply pump 3-4 times and apply the cleanser to my face while it is dry. I then massage the cleanser onto my skin, which dissolves my makeup and cleans my face. This hydrating and luxurious cleanser always leaves my face feeling fresh and rejuvinated. 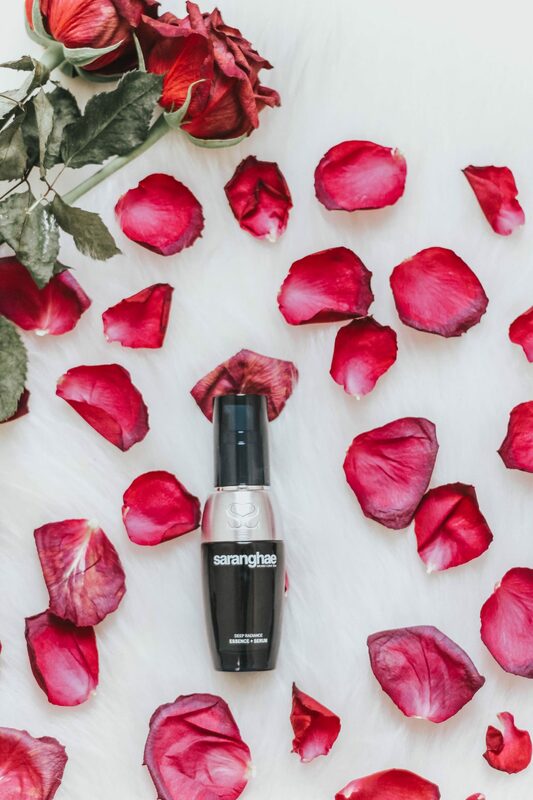 This serum makes my face feel amazing after cleansing it. You can smell of the essential oils in the serum, which makes using the serum so relaxing. I also just went to LA this past weekend and threw the entire skincare routine in my suitcase to take with me and I am so happy I did! 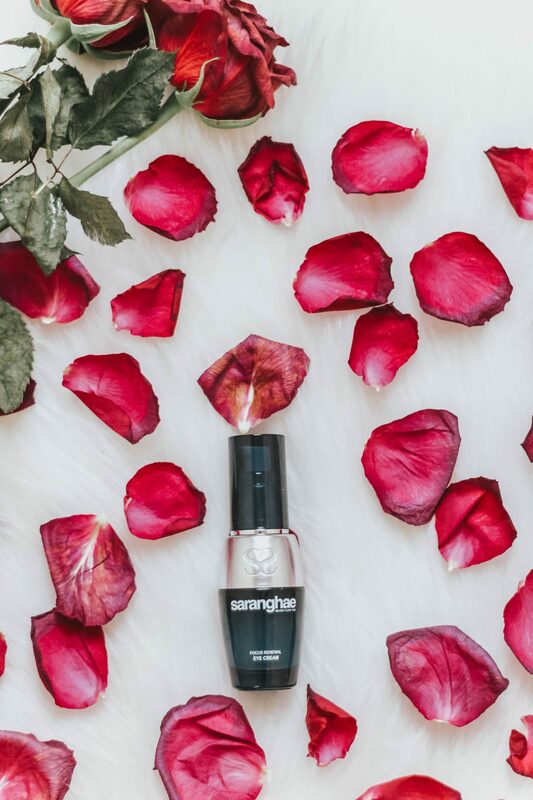 My skin felt amazing all weekend long and I didn’t have to worry about having dry, irritated skin while traveling, especially since my skin is extra sensitive during the winter months. 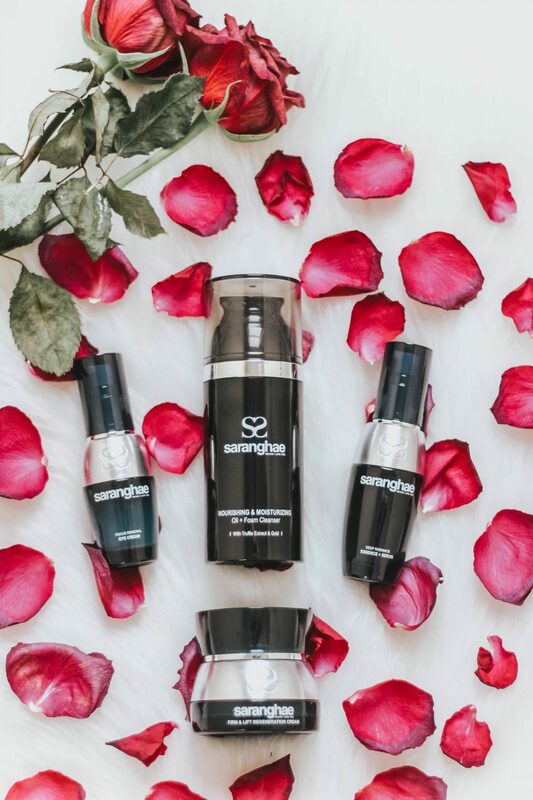 If you are trying the Saranghae 5 step anti-aging routine for the first time, please give the routine at least 30 days to repair, regenerate and protect. 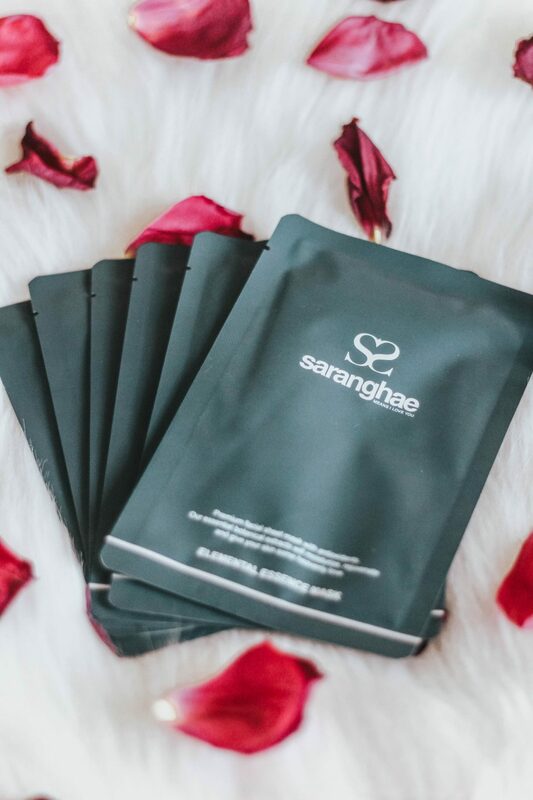 growing Korean skin care brand in the United States. 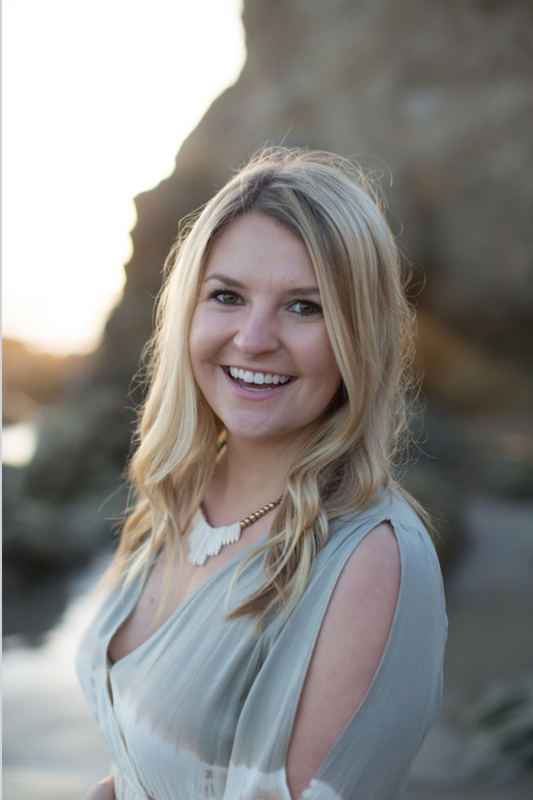 The blonde haired girl behind Sandy Toes & Salty Hair is a 24 year old fashion, lifestyle, and travel blogger located in Flagstaff, Arizona. She is a lover of coffee, champagne, and all things pink!